Orangutan tours is one of the most Indonesia tourism package program is much sought after and preferred by foreign tourists visiting Indonesia. Here's a brief description we provide thematically organised from the wikipedia page about the Orangutans. Orang utan (mawas) is a species of great apes with long arms and reddish or brown furry, who lived in Indonesia and Malaysia to tropical forests, especially on the islands of Borneo and Sumatra. Orangutans have a height of around 1.25-1.5 meters. Orangutan body shrouded in a brownish red hair. They have a large head with high mouth position. There are 2 types of species, the Bornean Orangutan, orangutan/Borneo (Pongo pygmaeus) and the Sumatran Orangutan (Pongo abelii). The current estimated orangutan will become the first great ape species to extinction in the wild. Its main cause is habitat and trade animals. The population is now estimated at less than 30,000 individuals who spread out in two areas of distribution (Sumatra and Kalimantan/Borneo). 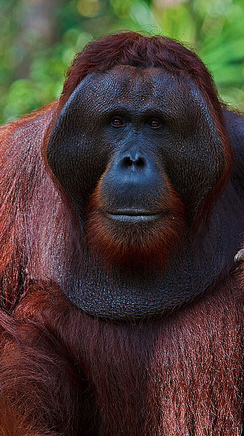 Term ' people utan' taken from said in language melayu, namely ' orang' which means man and ' utan' which means the forest.Uniquely an orangutan having kinship close to human beings on the level, kingdom animalia where an orangutan has the similarity dna of 96.4 %. Orang Utan traits they have a fat body and big, big necked, long arms and strong, short legs and bowed, and did not have a tail. Palm of the hand they have 4 long fingers plus one thumb. The soles they also have arrangement of fingers or toes that are very similar to humans. 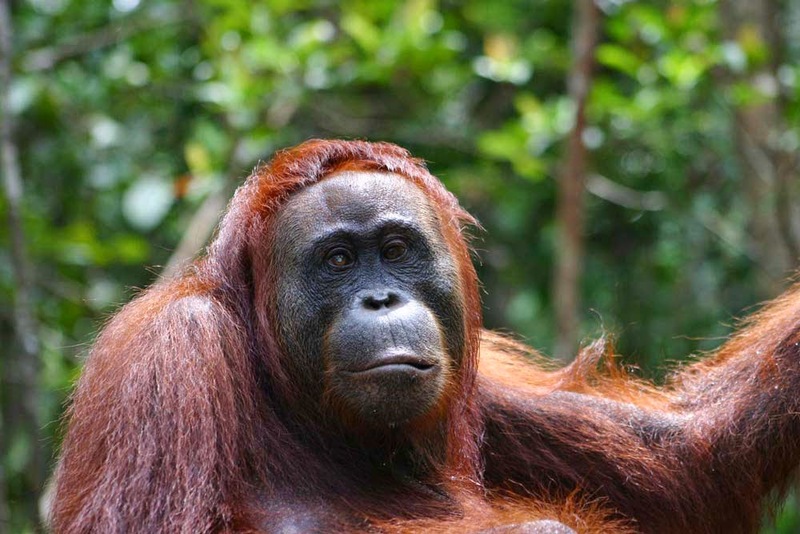 Orangutans are still included in the species of great apes such as gorillas and chimpanzees. The great apes in the classification of mammals, have a large brain size, which leads to the fore, eyes and hands that can grasp. Orangutans can use sticks as tools to take food, and use the leaves as a protector of the Sun. Sumatran Orangutan ages 6 years old that live in the swamps West of The Base of Sumatra use sticks to detect honey but never found such behaviour among orangutans in the region of the East Coast. This shows the diversity of behaviour in environmental adaptation. That's the overview of the orangutan. If you want to know more about the orangutans and their lives in their habitat, the wild hiking, you can follow a variety of orangutan tour packages, Sumatra Orangutan tours, or Kalimantan/Borneo Orangutan tours packages. You can view directly the life of orangutans and interact directly with them. Note: Fore more detail orangutan tours packages visit Indonesia Tours and Travel - Jagootravel.com.